Forum member Senor_flojo posted these pictures about a local S2K member. It would seem like either someone hit them from behind, pushing him into another car, or he hit someone, and someone hit him from behind. Well, the story goes differently, after taking the exit ramp, there was a road flare ahead, so the driver turned quick to take the other exit, but he had bald tires, and the S2000 spun out of control and hit a wall. Check out the video and explanation HERE. 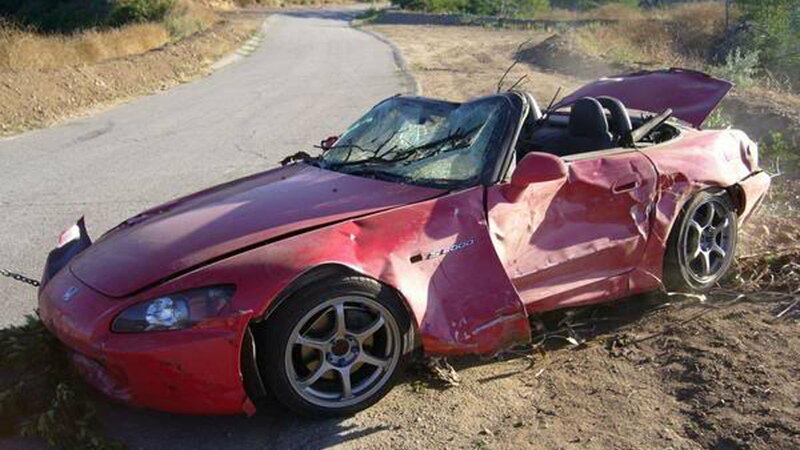 >>Join the conversation about S2ks That Have Been in Accidents right here in S2ki Forum! Whenever we drive through the mountains, we get extremely aggressive for some reason. I think there's something more than paint and asphalt buried in those twisties myself. In the end, if you want the most extreme rush, the consequences have to be extreme as well. Sadly for this person, the drive didn't end too well. If we have to speculate what happened, we can all agree the tiniest mistake on roads like this can send the S2k flying rolling the mountain. 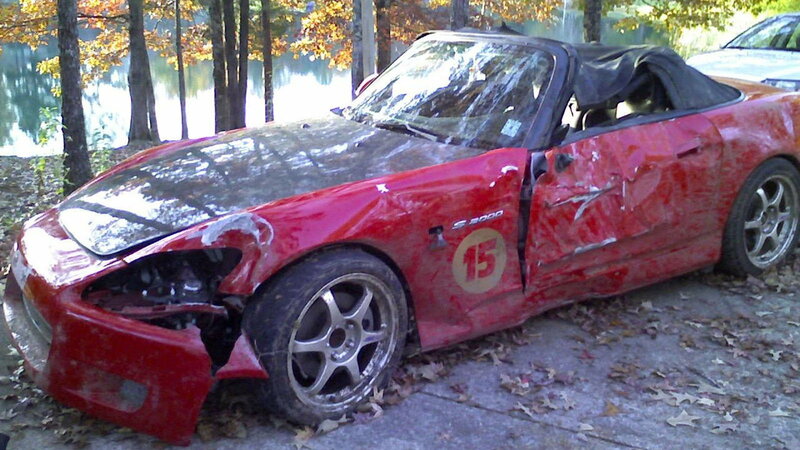 Fellow S2Ki enthusiast Milleretown15 shared a sad sight of his S2000. 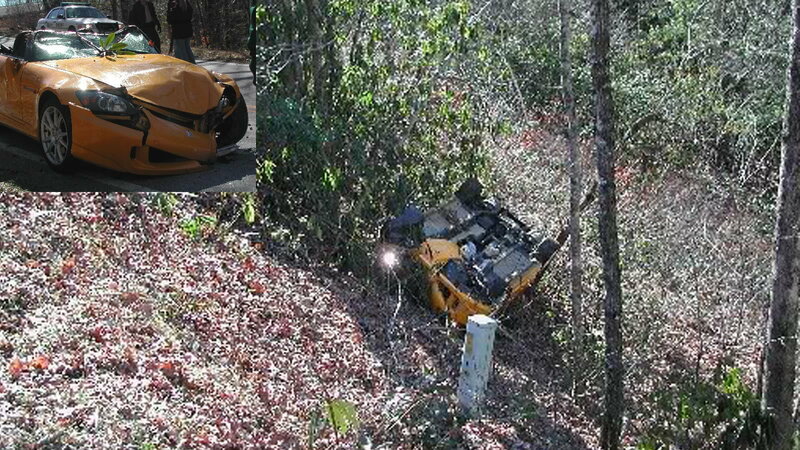 After coming back from a local Autocross, he lost control of his car and rolled it on its side in a ditch. The car looks completely destroyed, but he is grateful that the car is actually all back together, minus the paint, and we are all thankful for such pleasant news after seeing this sight. 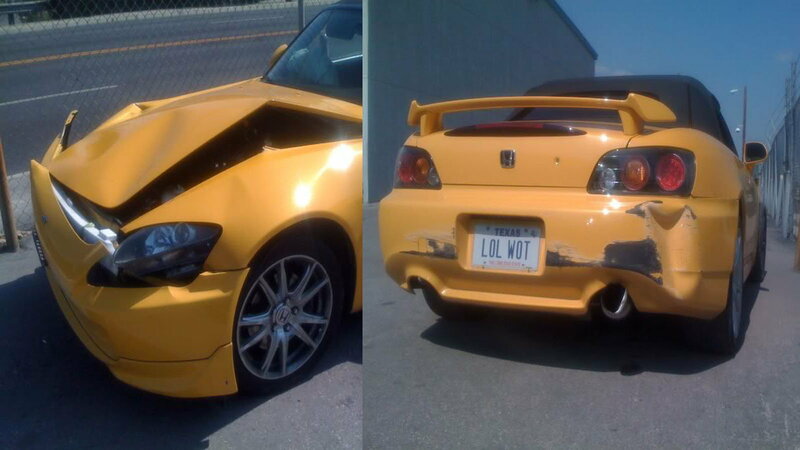 S2K forum member tells the story of the guy in front of him losing the back of his S2K, which results in him going over the cliff backwards. Although the car looks fine, it is actually totaled, as it hit backwards. Fortunately, the driver walked away without a scratch. Check out the discussing for more pictures HERE. 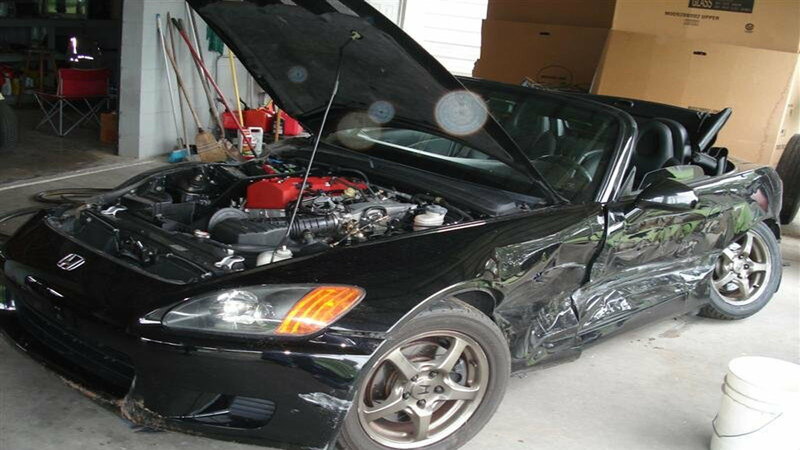 This S2000 had 90K miles on it, and as forum member Bandiscoot was driving, a lady turns into him at 35 MPH, which hits him right on the rear, forcing him to slide into a telephone pole in an intersection. The story can be told in various ways, and if you don't mention the lady driver, it may just seem like a car chase. Fortunately, Bandiscoot bought another S2000, so let the fun begin, all over again. Check out more pictures of this car HERE.